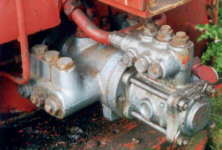 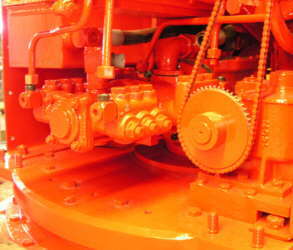 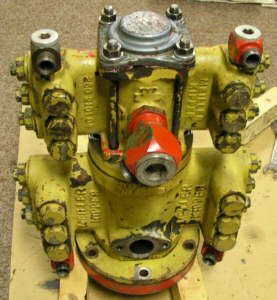 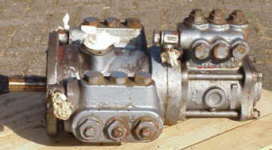 The Meiller Kipper hydraulic pump had a broken excentric shaft and coupling. 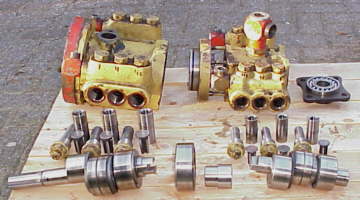 Spare parts for the pump were not available anymore. 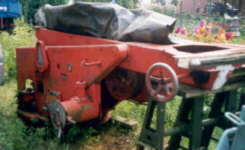 Meiller Kipper, nor Magirus in Ulm had any spare parts left. 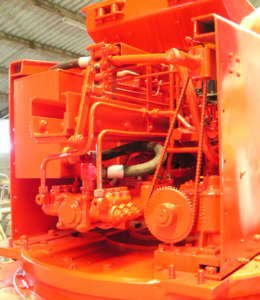 Als several companies specialized in aerial ladder maintanance and Magirus service workshops in Europe were not able to supply any parts. 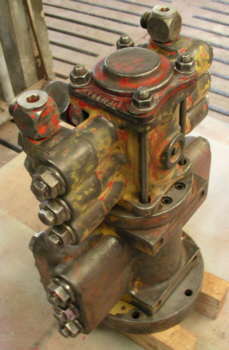 In Germany an old pump of a slightly diffrent type was found. 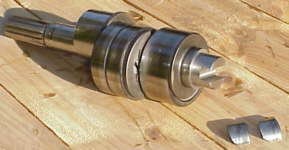 Unfortunately the main shaft was not exchangeble with the broken shaft. 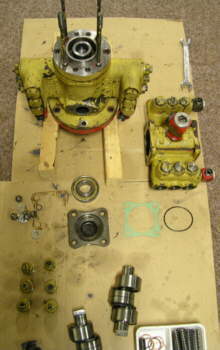 The pump was purchased anyway for other spare parts that might be needed later. 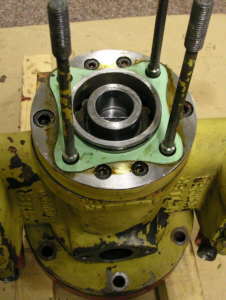 A decision was made to have the shaft repaired. 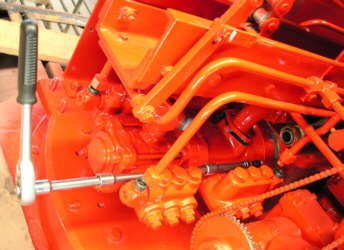 Due process it appeared that the 6 cylinders of the low volume part (part 26) of the pump showed excessive wear. 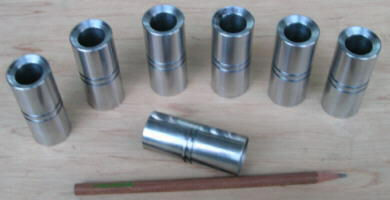 It was decided to have oversized pistons (from 24,00 mm to 24,98 mm) machined and the cylinders bored and honed. 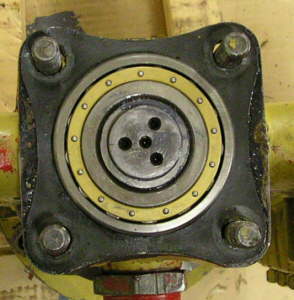 Also new pistonrings are fitted. 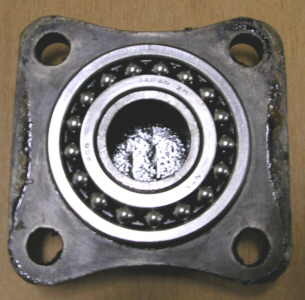 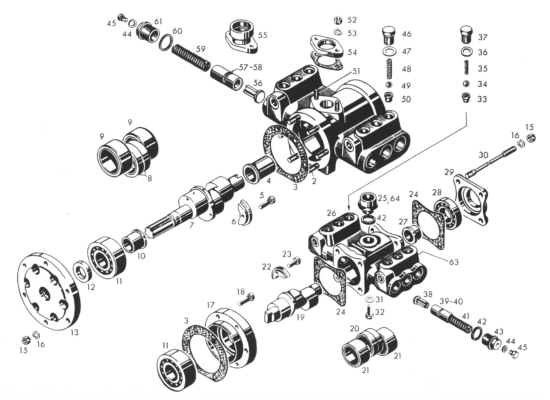 During assembly of the pump it appears that in the past a bearing (part 28) was replaced by a wrong type bearing. 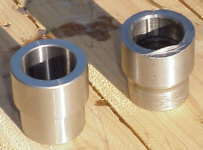 Also it seemed that a distance ring (part 27) was mounted the wrong way around. 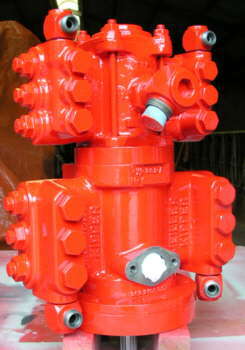 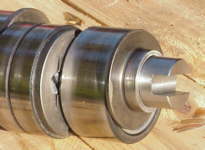 As a result of the excessive axial movement of the excentric shaft the pump seized and the shaft coupling broke. 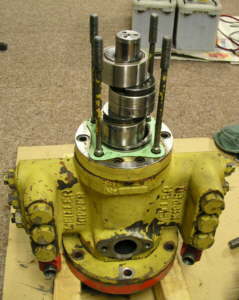 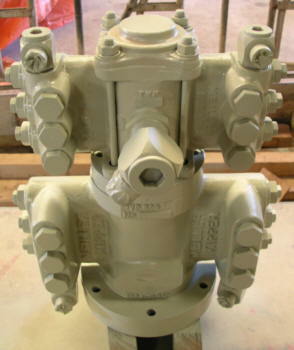 The right bearing and distance ring of the spare pump are used this time.